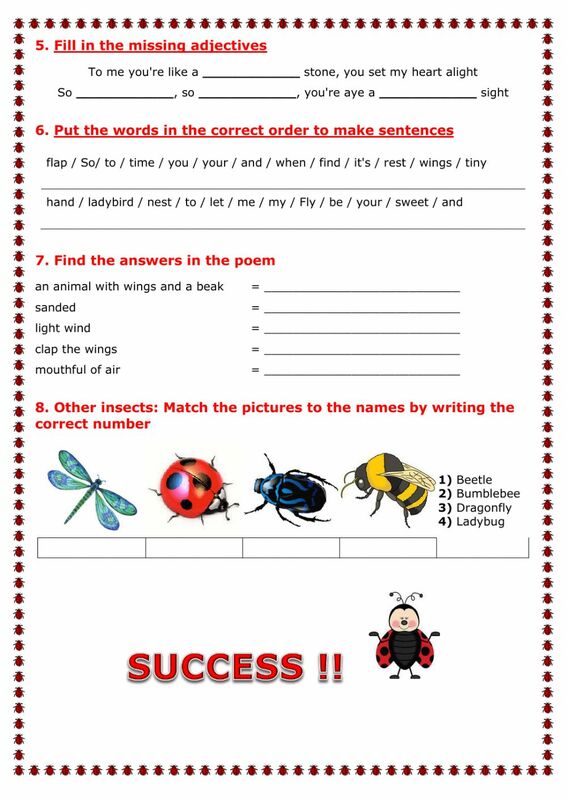 This is a poem about the ladybird. With a video, music, pictures and 8 exercises. Copyright 2/17/2017 kristine44. Publication or redistribution of any part of this document is forbidden without authorization of the copyright owner. What a lovely poem and video! This ws probably took you ages to make it... Thanks! !